(CNN) - The Bush family has left an indelible mark on American politics, stretching back four generations to when Prescott Bush represented Connecticut in the US Senate. In the decades since, the Bush family has produced two presidents, George H.W. Bush and George W. Bush; the governor of Florida, Jeb Bush; and the current Texas land commissioner, Jeb Bush's son George P. Bush. While George W. and Jeb are public figures, their siblings Neil, Marvin and Dorothy have mostly managed to stay out of the spotlight. 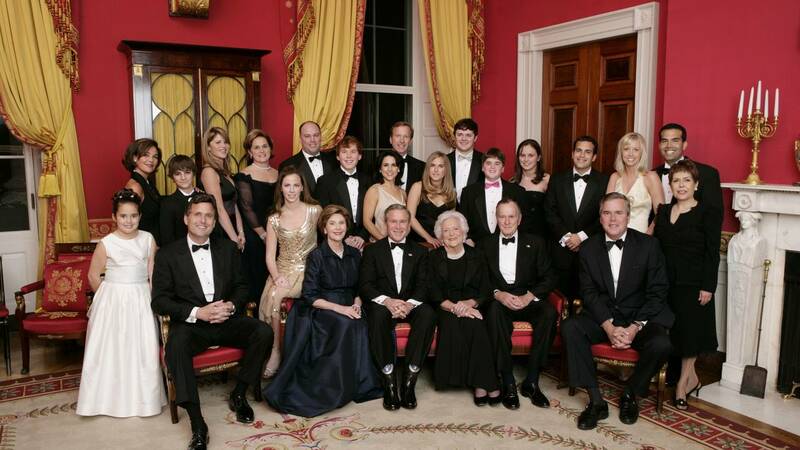 Even if they're not household names, anyone who has followed the Bush family is likely aware of their existence. However, there was a sixth Bush sibling. Born on December 20, 1949, Pauline Robinson "Robin" Bush came several years after brother George. Robin's death was devastating for the family, and George and Barbara would always say that she was the first person they would see when they got to heaven. Both are buried next to Robin at the Bush Presidential Library and Museum in College Station, Texas. George W. Bush has been sober for several decades, but his reputation for drinking and partying is legendary. As a younger man, he had run-ins with the law that stemmed from his drinking, and he was known for drinking what he called "the four B's" -- beer, bourbon and B&B liqueur -- sometimes all in one sitting. "God's work within me began in earnest with Billy's outreach," Bush wrote in an op-ed for the Wall Street Journal about American evangelist Billy Graham. "His care and his teachings were the real beginning of my faith walk — and the start of the end of my drinking. I couldn't have given up alcohol on my own. But in 1986, at 40, I finally found the strength to quit. That strength came from love I had felt from my earliest days and from faith I didn't fully discover until my later years." While his first jump wasn't under the most ideal conditions, as he was forced to bail from a burning airplane during a combat mission in WWII as he jumped to safety, he would go on to (voluntarily) jump out of planes seven more times.